· Provides an interdisciplinary meeting place for all those interested in the medical sciences. 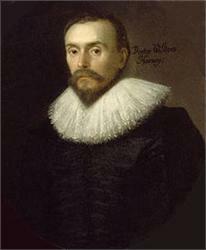 · Funds travel bursaries and prizes for junior doctors, medical students and sixth-formers from Kent schools associated with William Harvey. · Meets monthly at the Medical Society of London for lectures and debates, preceded by supper. If you have a background in medicine, human or veterinary, or in biomedical science you will find that the society’s meetings provide a unique opportunity to be intellectually entertained and have your mind stretched. It is one of the few organisations that bridges a wide range of professional and scientific disciplines and provides a space for sharing knowledge and experience with like-minded people, just for the pleasure of doing so. Its pedigree is a long one, back to its foundation in 1831. The Medical Society of London building in Chandos Street is a Regency gem, antedating the Harveian and built in 1808. If you are thinking about joining the Harveian, please see the Membership page.